GALION — The boys and girls bowling squads from Galion High School are prepping for their second season of competition in the Mid-Ohio Athletic Conference. In last year’s inaugural season, the boys team finished 10-10 overall and 5-6 within the MOAC, while the Lady Tigers wrapped their season at 6-14 overall and 2-10 in league play. Galion’s boys team will have a new coach in 2017-2018, Brad Fairchild. Fairchild takes over for last year’s leader Ryan Scribner. Leading the way for the Tigers will be Austin Rinehart. Rinehart picked up first-team all-conference honors a season ago and owned the fourth-highest game average in the league at 200.87. Also returning for the Galion squad will be Dylan Ruth and Aaron Stewart, both of whom rolled their way to all-conference honorable mention nods last season. Another plus for the boys is that none of their bowlers from a season ago graduated, so that experience factor will be a huge plus. For the Lady Tigers, it will once again be Bobby Lear leading the way. 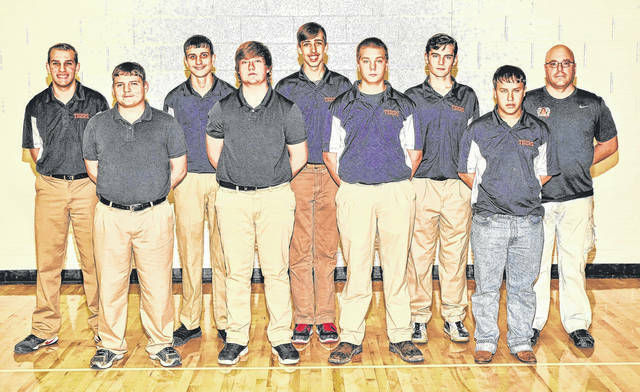 “Although the team as a whole doesn’t have a lot of experience in competitive bowling, we look to be competitive and challenge the field for a league championship,” Lear said. The Tigers will look for an improved season from that of a year ago that saw them tied for fifth overall with the Pleasant Lady Spartans. Jonathan Alder won the MOAC Red last year, but Alder is no longer a part of the conference. 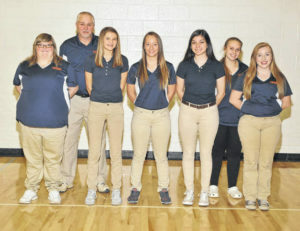 Galion is competing this season without their top bowler from a season ago, Sara Misura. Misura graduated in 2017 and was the only Lady Tigers bowler to pick up league honors, making the honorable mention list last winter. Back for Galion will be seniors Stevi Ness, who boasts a 147 average and Macy Eicher, with a 110 average. They will be joined by newcomers Navaeh Clark, Kaylee Robison and Laci Lugo, all sophomores. The bowling teams started their season earliers than other sports with the Victory Lanes Warm-up Tournament in Galion on Saturday, Nov. 18. Galion’s squads will travel to Blue Fusion in Marion to begin their MOAC season against the Lady Spartans of Pleasant.